As a first time Mum, I am super excited for Mother’s day this year! It’s obviously important to always express our appreciation to our Mum’s in whatever way we can, whether it’s just saying thank you for the years of magically transporting our dirty washing from our bedroom floors to the wash basket, or making time in our busy schedules to spend some quality time together. Since maturing from that stroppy teenager, I have always respected just how much our Mum’s do for us, but I guess I have never really understood exactly why they do it until now. Having our daughter has made me experience a love I never knew existed. It gives you the energy to get out of bed in the morning, even if you have been up all night comforting their cries, it motivates you to be the best person you can be, to give them the life they deserve and most of all you know you’d do absolutely anything to make sure they were happy. Being a Mum is a whole host of emotions that change from minute to minute, from love & happiness to worry & upset. That’s why I think Mum’s deserve to be treated on Mother’s day, because they ride that emotional Roller Coaster, all day, every day, and they wouldn’t change it for the world. 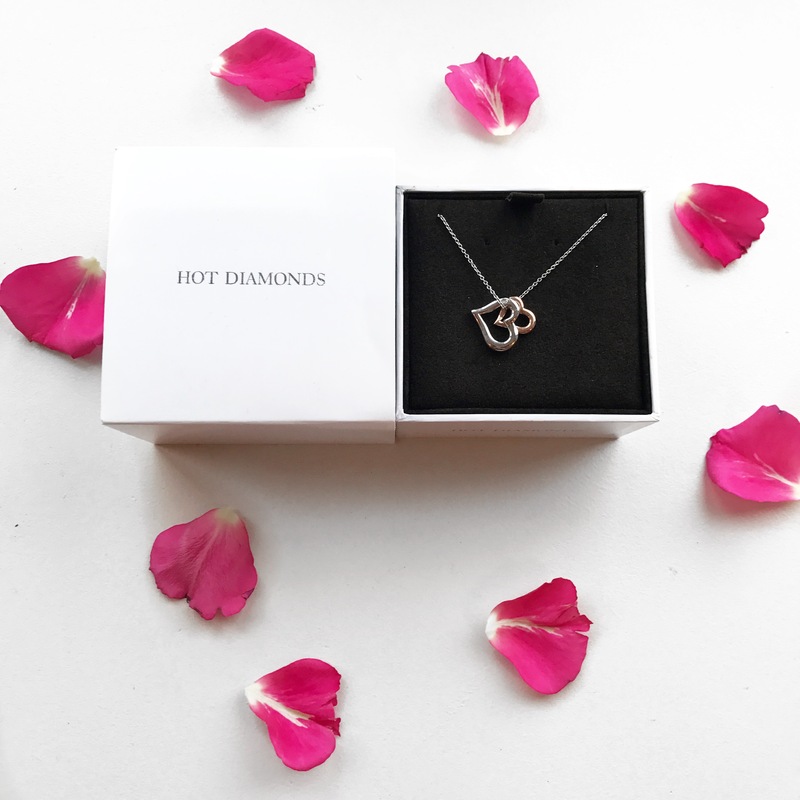 Anyway, my partner brought me this beautiful Hot Diamonds Heart Pendant which I thought I’d share with you as it’s such a pretty gift. The Silver & rose gold plated hearts represent the everlasting link between Mummy & her babies. I hope you like it, what are you all doing for Mother’s Day this year?